Two regular cask beers, initially from Marston's and Greene King, will be available alongside several guest beers reflecting customers' preferences. Effra Social in Brixton serves real ale. The pub is a member of Cask Marque. Elm Park Tavern in Lambeth has a beer garden. 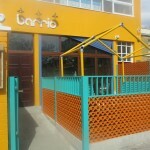 The pub has an outside area, it shows live comedy. Elm Park Tavern has a dart board. The pub has DJ's, it has karaoke. 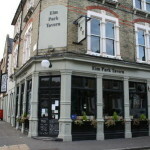 Elm Park Tavern has live music events. The pub holds quiz nights, it has a big screen. Elm Park Tavern shows football on TV. The pub has Sky Sports, it has terrestrial TV. 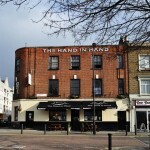 Hand In Hand in Lambeth has free WiFi. The pub has a dart board, it has a pool table. Hand In Hand has a big screen. The pub shows football on TV, it has Sky Sports. Hand In Hand has terrestrial TV. 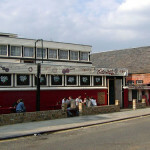 Hootananny in Lambeth has accommodation. The pub has a beer garden, it has a car park. 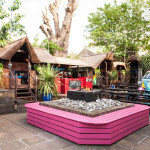 Hootananny has an outside area. The pub has a smoking area, it has free WiFi. Hootananny has a pool table. The pub has a big screen, it shows football on TV. Hootananny has Sky Sports. The pub has terrestrial TV. Split between 2 floors the interior bar is designed in signature Grand Union style, a boudoir-esque stately home full of gorgeous ornaments and curious artefacts. 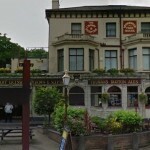 Prince Of Wales in Lambeth shows football on TV. The pub has terrestrial TV. Sultan in Lambeth has an outside area. The pub has a smoking area, it has free WiFi. Sultan has a dart board. The pub has a pool table, it has a big screen. Sultan shows football on TV. The pub has Sky Sports, it has terrestrial TV. 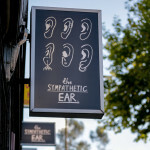 Sympathetic Ear in Lambeth serves food. The pub serves real ale. 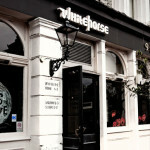 We didn’t set out to be a venue as such but live music at the Windmill Brixton, just kinda evolved.